I plan to write more about each of the vegetables grown in my veranda but I guess I need more luxury of time. In the meantime, let’s get into my broccoli! Its florets are not as firm and compressed as the store-bought broccoli. It could possibly be because all these vegetables in my veranda are organic. The soil is rich with all the roots and leaves that have been left to naturally mix and contribute to the richness of the soil. 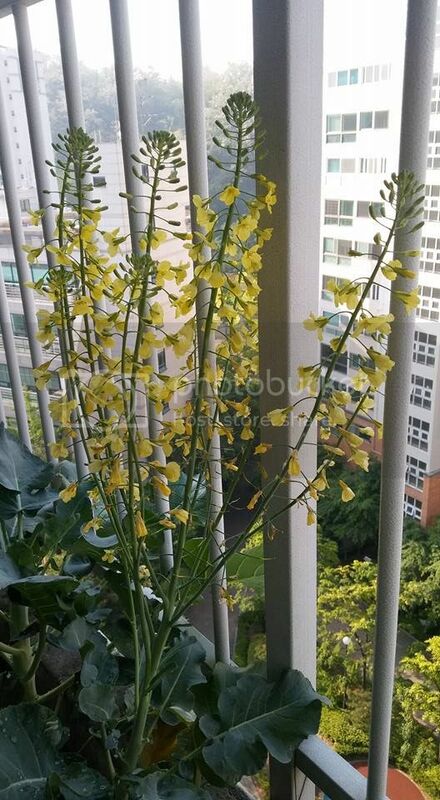 The broccoli above is near blossoming so I took them out before they flower. 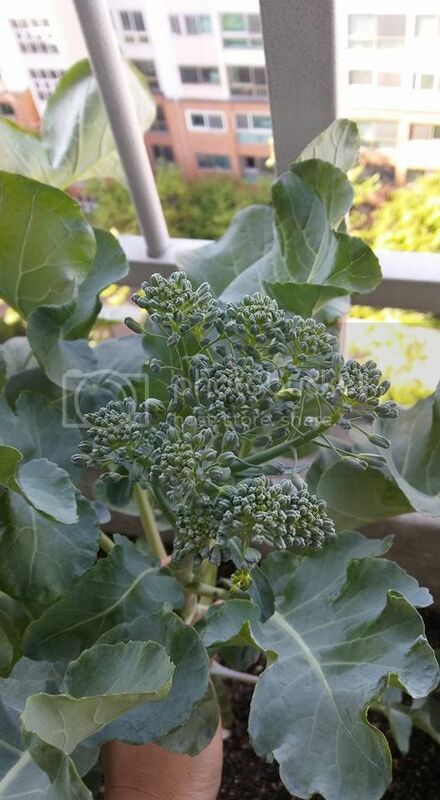 I have several broccoli plants gloriously standing in my veranda and they give our family a steady supply. You see, after I cut off the florets that are ready to be included in my dishes, the plants shoot off another batch of fresh broccoli. And to ensure continuity of my broccoli for another season of planting, I allowed one plant’s flowers to fully blossom. And they’re beautiful! For days, these flowers gave me something to look forward to in the morning. The best thing about these flowers is when you allow them to dry, they would eventually produce seeds just like the radish flowers and the basil flowers that I had. The buds wouldn’t look as beautiful as the flowers but rest assured they will continue to provide us with the very healthy broccoli for our dishes. Broccoli is one of hubby’s favorite vegetables. He proudly talks about my veranda and the produce that we constantly have. 2 or 3 years ago, I wouldn’t have understood the fun and the enjoyment one can get from growing and producing one’s own food. But now, sit me down for a cup of coffee and be a willing listener. I’m afraid I will bore you with my veranda farming just like how I might have bored friends with stories about my babies when they were younger, hahaha. No kidding! And hey, I am just talking about a patch of land in my small veranda in our apartment in Seoul. Just imagine the possibilities when I have a bigger area. Really, how can people go hungry? Well, I’m quite impressed! I would never have imagined to grow such crops in a big city apartment, so props to you! 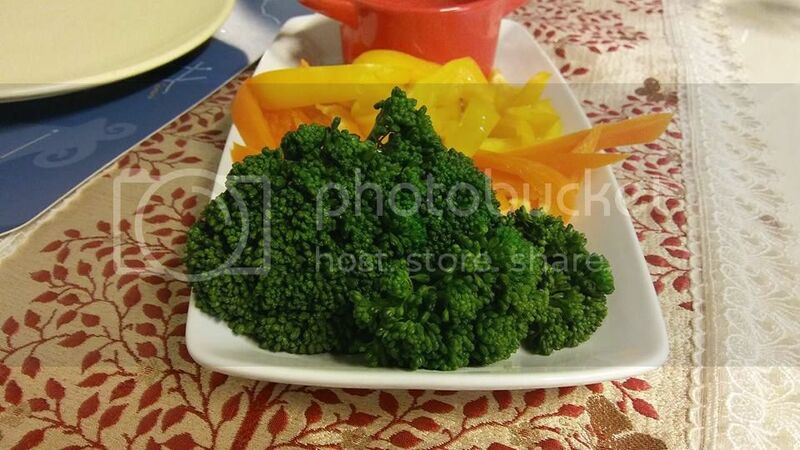 Your image of the organic broccoli is making me rethink my fried rice for dinner haha. Keep up the great work! This is so wonderful to see! And I just love the egg boxes you used to grow the broccoli! I hope you’re able to harvest some yummy home grown goodness to share with your family. We tried growing all sorts of things in the garden area behind our apartment and had some luck, but nothing as healthy and good as your broccoli plants! This looks so delicious and healthy! It’s probably better than getting it at the store! I love fresh veggies and it’s interesting to see what it looks like when grown in small amounts rather than large quantities. Sweet! Broccoli! My hubby grows lots of stuff on our oktop/veranda. We have hops (for beer brewing), as well as tomatoes, lettuce, spinach and strawberries. I’m definitely going to ask him to plant some broccoli, I didn’t realize it was that easy to grow. Thanks for the tip! This is amazing! Another veranda farmer! You can do pots and put them near your windows:-). goodluck! Broccoli is one of my favorite vegetables! 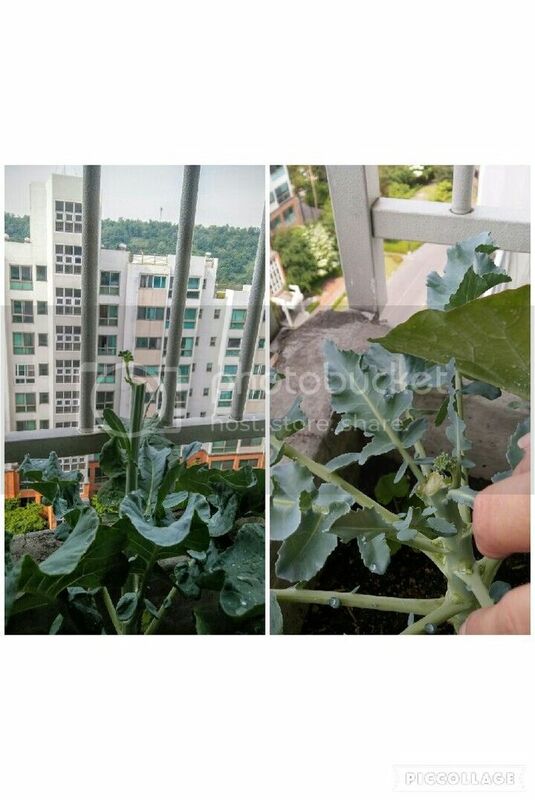 You’re lucky to be able to have a space to grow veggies in Korea! Maybe I’m going to start this as well, looking at the current vegetable prices in Korea. It looks like a fun money saver. Thanks for the very helpful tips! Lovely! What a lovely way to keep nature alive in a big city. Love your process. My fiance and I really want to grow some basil and whatnots. But unfortunately we don’t have the space to do so. You can grow basil in pots, even the small ones and put them near your window where it can have good sunlight. I have lots of basil seeds from my previous basil plant. I would love to share with you. Let me know! 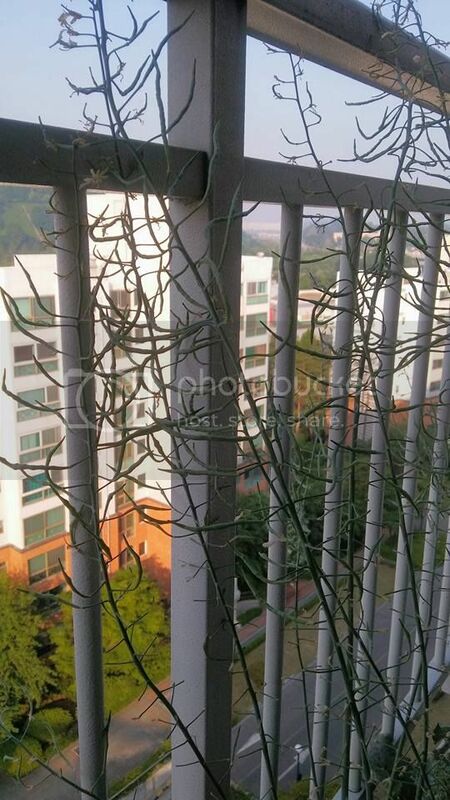 That’s really awesome you’re able to grow plants on your veranda! I like that living in a city isn’t stopping you! I really want to have a garden where I can grow some of my own produce one day! I also want a lemon and a lime tree!!! Anyways, impressive job on growing all sorts of things in your korean apartment! Speaking of lemon, I have two growing from the seeds I took out of my store-bought lemon. Hopefully, Inoculd blog about it. 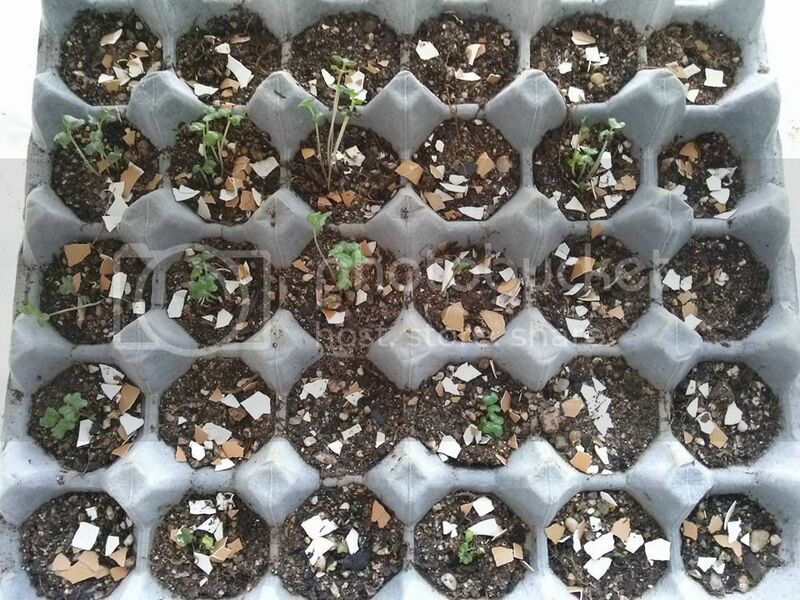 Goodluck on your garden someday. In the meantime, enjoy all the travelling!